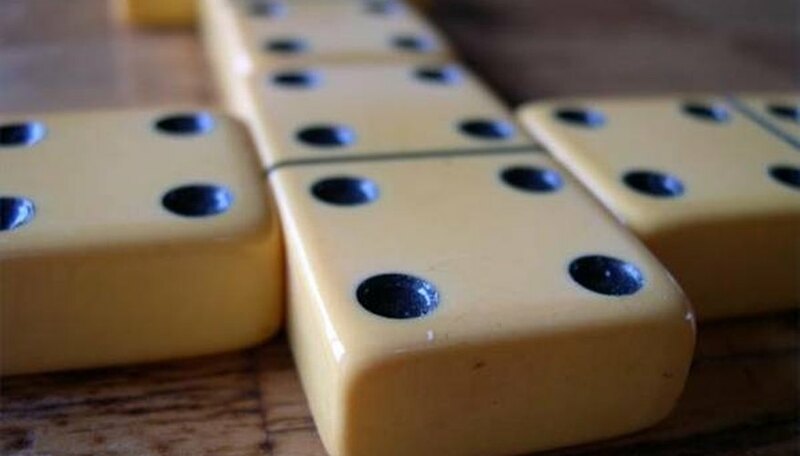 Dominoes is a popular game that dates back to the 12th century, and like with cards and dice there are many different ways to play. 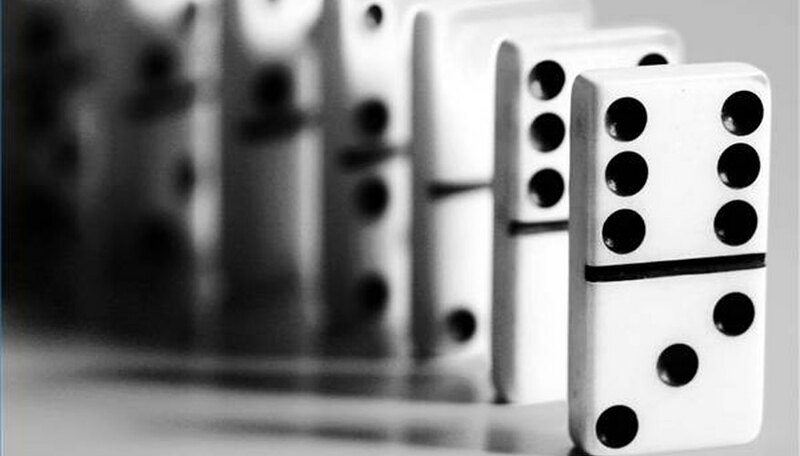 Traditional dominoes, also known as draw dominoes, is the most popular and widely recognized form of the game. Once you understand traditional dominoes, you can build off of the information to learn many other game variations. The object of traditional dominoes is to play either until one player runs out of dominoes or until no more tiles can be laid down. More than one hand is played until a player reaches a score of 100 points. Lay all dominoes (or tiles) face down and mix them to create a pool or "boneyard" from which to draw. Draw seven tiles each in a two-player game; draw five tiles each when there are more than two players. Determine which player goes first based on who has the highest double. A double is a tile that has two of the same values on it. The player then plays this tile to start the game. Play proceeds clockwise. The next player plays a tile by matching a value to the sides of the double tile that began the game. For example, if the first player put down a double six, the second player must play a tile with a six on one side. The values must be touching. When playing against a double, place the new tile so that it is touching both sides of the double. Pick up a new tile from the boneyard if you cannot play any of the tiles in your hand. Continue picking up tiles until you find one that you can play. The unused tiles become a part of your hand. Pass to the next player if you cannot play a tile and there are no more tiles left in the boneyard. Finish a hand when one player runs out of dominoes, or when no more dominoes can be played. Score by counting the value of each person's hand, or the number of dots on each person's remaining dominoes. The player with the lowest score, or no dominoes left, wins the total number of points in each opponent's hand, minus any points from her own. Begin a new hand and repeat the above steps until one player reaches a total score of 100. If no player picks up a double at the beginning of the game, there is more than one solution. The player with the highest total value on a tile may go first, or you may reshuffle the tiles and begin the game again. Remember that the person with the lowest score at the end of the hand wins that round, so whenever possible focus on playing tiles with the highest value. Basic Domino Rules With Diagrams.